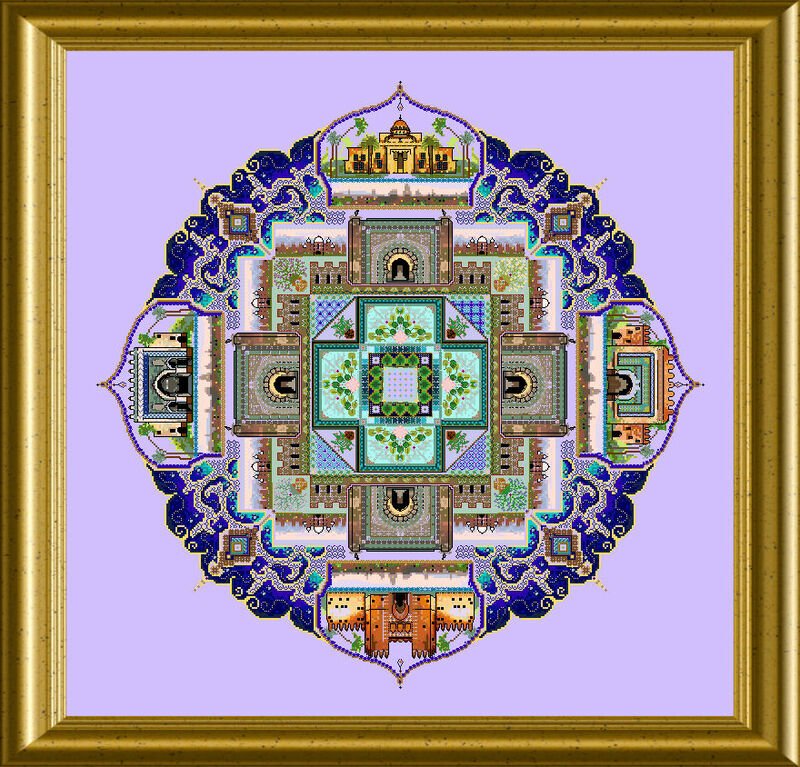 This is the Moroccan Town Mandala. Beautful gates and buildings of Morocco, the atmosphere of the hot and sunny North African country. 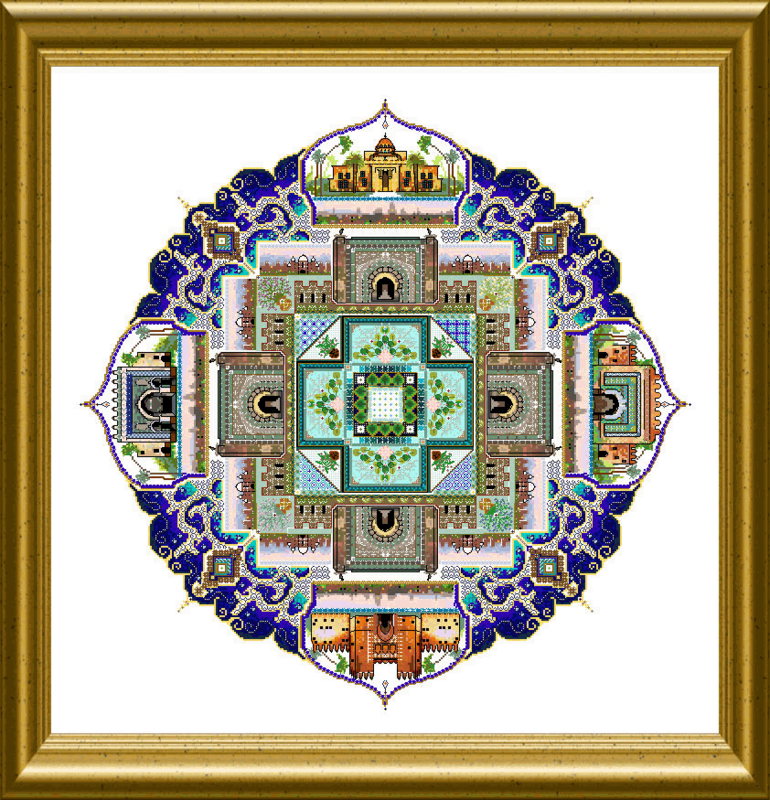 Here you can stitch it all – be it a dream to fulfill or the memory of a wondrous travel.A big Mandala, which will give you lots to explore: threads, materials, stitches, Special Stitches – and ornaments in each place. The mere design size will be 333 x 333 stitches. To dream of Arabian nites. Great colors and need all three pieces to do together. Can’t wait. I’ve been to all those individual sites while I lived there. Can’t wait to stitch it!!! Beautiful; to match Petersburg and Persian Iris. Gorgeous! Please notify when ready. Oh no Martina —- I do not have Facebook. I’ll just have to keep my eyes and ears open to see if anyone mentions it. The Moroccan ones are gorgeous. I’m curious,…. How do you decide on the color of material to use? It takes me days to figure that out! Love all of your work.